The Healing Power of Bright Colors, monologue, produced for After Orlando, by Missing Bolts & No Passport, NYC, 2016. Writer. Let Me Go, short, produced for Find The Light, event raising awareness about mental illness, Los Angeles, 2016. Writer. Brother Beach, short, reading produced for Believe Theatrical's Bleeding on Broadway fundraiser for HANY, NYC, 2016. Writer. Land Grab, short, produced for Fundamental Theater Project's Mass Rhetoric New Works Festival, NYC, 2016. Writer. Ham & Pineapple, short, produced for Tiny Rhino at Play Collaborative Arts Space, w/ Seth Kirschner and Katy Wright-Mead, Los Angeles, 2015. Writer. Deleted Scenes, reading produced for Believe Theatrical's quarterly reading series, w/ Anthony Rapp and others, NYC, 2014. Writer. Under The Boardwalk, reading produced for Believe Theatrical's quarterly reading series, w/ Sam Underwood and others, NYC, 2014. Writer. The Devil Made Me Do It excerpted for and produced by STICKY at Bowery Poetry Club, NYC, 2012 w/ Brian Seibert. Writer. My Beautiful Stutter, feature length documentary, currently in post-production, to be released theatrically Fall, 2017. 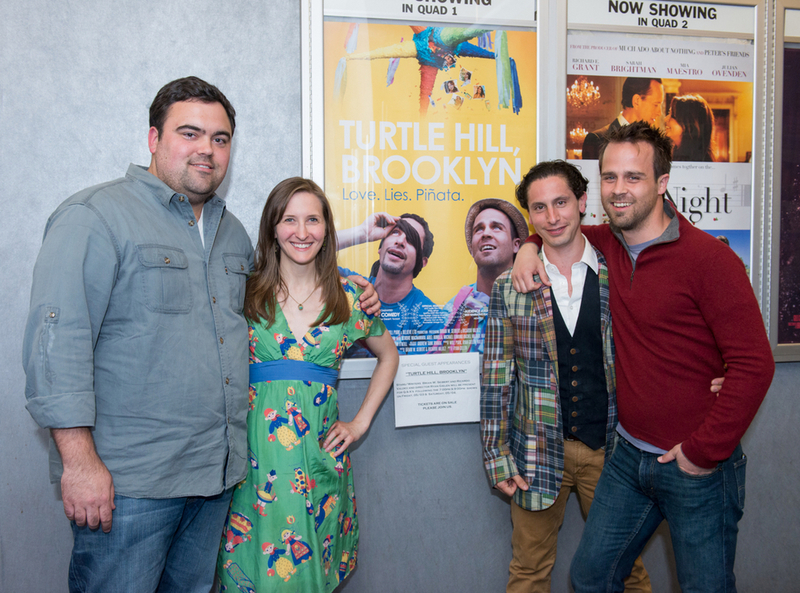 Turtle Hill, Brooklyn, Audience Award for best Best Narrative, LGBT NewFest, 2013. Producer/Director. Available on Amazon, iTunes and other outlets. The Graduates, top ten comedies all time on Hulu, WINNER: Director Discovery Award, RIIFF, 2010. Writer/Director. Available on Amazon. Two, Finalist, Academy Award-qualifying USA Film Festival, Official Selection over 20 film festivals. Producer/Director. Deleted Scenes, WINNER: Short Screenwriting, VisionFest 2008, Official Selection over 20 film festivals. Writer/Director. Stop the Bleeding! Award-winning comedic web series for young people living with bleeding disorders, 29 episodes, 2012-present. Writer/Director. Deleted: The Game WEBBY Award-winning interactive web series, 10 episodes, released in 2008. Writer/Director. Love Bomb & The Pink Platoon, original story of a military experiment that goes horribly wrong and turns an entire platoon gay. Available in paperback on Amazon and electronically on Kindle. Ryan is a contributor to NoFilmSchool.com, Sundance Film Festival Artist Service’s Blog, and Tribeca Film Fest Blog. Ryan and his brother Matthew are the co-founders of DVD’s to the Troops, which has organized the donation and shipment of over 90,000 donated used and new DVD’s to American military in war zones around the world. Ryan is currently the Co-Founder and Creative Director of the digital content company Believe Limited.